Edina Rešidović is a renowned criminal law attorney and expert in cases involving application of international law and humanitarian law cases. She was the lead counsel in a few different cases before the ICTY, two of which resulted in the acquittal. Ms. Rešidović is a member of the Disciplinary Panel of the ICTY. She is a frequent lecturer on the issue of war crimes cases. Ms. Rešidović has lectured at the conferences organized by the UNDP, OSCE, OKO. Prior to opening the law office, Ms. Rešidović worked as Deputy District prosecutor in Sarajevo. She was a Secretary for Legislation in the Government of Republic of Bosnia and Herzegovina. Džemil Sabrihafizović practices in the area of corporate and administrative law and litigates complex legal issues before the local courts. He advises and representes clients in complex transactions involving privatization processes, creation of joint ventures, mergers and acquisitions, direct foreign investments issues, unfair competition claims and public procurement procedures. Mr. Sabrihafizović is frequently engaged as a consultant in projects involving policy and legislation matters. He served as a member of the Board of Directors of the BH Telecom. Prior to opening the law office, Mr. Sabrihafizović worked for 20 years as a high ranking government official, heading the Institute for Public Administration of Bosnia and Herzegovina. 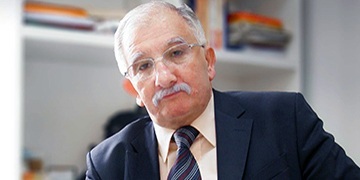 From 1989 – 1991 he was the Advisor to the Government of Bosnia and Herzegovina. 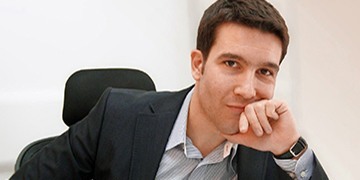 Dino Sabrihafizović joined the Law office in 2005 and has been a partner since 2007. Mr. Sabrihafizović practice is focused on transactional and corporate matters, including mergers and acquisitions. He also regularly advises companies of all sizes on data protection and privacy issues. He works with companies from the following industries: telecommunications, technology, pharmaceutical, and automotive. Prior to joining the Law office, Mr. Sabrihafizović worked at the Ministry of Internal Affairs and as an assistant with the defense team before the International Criminal Tribunal for the Former Yugoslavia in The Hague. Mr. Sabrihafizović graduated from the University of Sarajevo, Law Faculty in 2002. He is a member of the Federation BiH Bar. Mr. Sabrihafizović is member of the Supervisory Bord of the Investment Fund „prevent INVEST“ d.d. Sarajevo. Jesenka Rešidović, LL.M, born in Sarajevo, where she currently lives and works as an attorney-at-law at the Joint Law Office Rešidović-Sabrihafizović. She graduated from the University of Sarajevo Faculty of Law and received her Master degree in International and European Law at the University of Amsterdam Faculty of Law. From 2004 until 2009, she was engaged in several cases before the International Criminal Tribunal for the Former Yugoslavia (ICTY) in The Hague, first as an intern for defence, later as a legal assistant and case manager for defence in several war crimes and contempt of court cases before the ICTY. 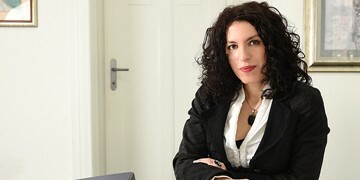 During 2011, Ms Rešidović participated, as a legal expert for the International Criminal Law Service (ICLS) and a member of the ICLS main team of drafters, in the development of training materials on criminal law and practice in war crimes cases for judges and prosecutors in Bosnia and Herzegovina, Republic of Serbia and Republic of Croatia, as part of the War Crimes Justice Project “Supporting the Transfer of Knowledge and Materials from War Crimes Cases from the ICTY to the National Jurisdictions” carried out by the OSCE ODIHR in partnership with the ICTY and UNICRI and funded by the EU. During 2012-2013, she worked as a legal advisor to the Appeals Chamber of the Special Court for Sierra Leone (SCSL) in The Hague. Currently, Ms Rešidović acts as a defence counsel in war crimes cases, cases of organized crime, money laundering, trafficking and other criminal cases before the courts in BiH, including the Court of BiH. She is fluent in English and Czech languages. Aida Beganovic-Handanagic is a Criminal Defense attorney. She joined the Law office in January 2012. 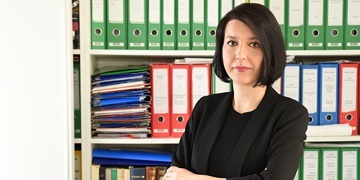 Since 2009, she was engaged in Defence teams in several war crime and organized crime cases before the Court of BiH, Suprime Court of Federation of B&H and Cantonal Courts, first at attorney Vasvija Vidovic' office as an intern, then in Joint Law office as expert associate and attorney. Currently, Aida Beganović-Handanagić acts as a Defence counsel in organized crime, war crimes, and other criminal cases before the Courts in B&H. 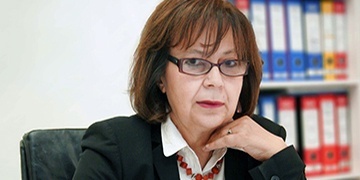 Prior to that, Aida Beganović-Handanagić worked for NATO multinational peacekeeping mission as Translator and Assistant to the Contracting Authority as well as with International civilian organizations in BiH for over eight years. She participated in numerous international and national seminars, workshops and advanced courses in the field of criminal procedural law, prosecution of war crimes, defense of minors in criminal proceedings and others. Law office was established in 1991 by Edina Rešidović and Džemil Sabrihafizović, both of whom continue to practice in the firm and are recognized for their extensive legal knowledge and experience in specific legal fields locally and internationally. From 2007 our team began to expand with new members specialized in different areas and expanding the international and domestic client base. Today the law office practices as a team committed to our clients’ best interests. Our office provides clients with services in Bosnia and Herzegovina in the area of corporate, administrative, civil, employment and criminal law before the local courts and other institutions. In the area of corporate law, lawyers in our law office have extensive knowledge and experience in incorporation of legal entities, transformation info different forms of legal entities, due diligence process and reporting, drafting of sale and purchase agreements and contracts of other forms, privatization of state-owned companies, ancillary employment issues and general advising of corporate matters. In the area of corporate law, the law office has continuously represented a number of leading domestic and foreign corporations. The law office advises and successfully represents corporate clients before administrative offices on all government levels and before the courts in administrative lawsuits. Our law office has extensive litigation practice which includes but is not limited to breach of contract claims and damage recoveries, intellectual property claims, employment issues and enforcement proceedings as well as anti-competition claims. The office provides services in advising corporate clients on general employment law issue and specific issues to a particular industry. The office also represents and litigates employment claims before the local courts as part of its corporate practice. Joint Law Office has a broad range of experience in advising clients from different sectors on all aspects of data protection, privacy and compliance (advising on local personal data protection aspects as part of complex global compliance strategies, international transfers of personal data – including transfers to the US, data protection issues in the context of global investigations, appointment of data processors – including as part of complex strategic sourcing arrangements). Attorney Rešidović has extensive experience and notable results in the most complex cases before local and international courts. She was continuously engaged for more than 10 years in defense work before the International Criminal Tribunal for the Former Yugoslavia located in the Hague where she achieved very good results. Considering that our client’s needs sometimes require other specialized services, our law office cooperates closely with few notary public offices and agencies specializing in tax and customs services as well as with several respectable domestic and international law firms and offices. Joint Law Office Sarajevo © 2019.